As part of Evergoods Global’s commitment to continuously refine our product portfolio and to expand into new markets our management will attend the 2015 Malaysia International Halal Showcase (MIHAS). 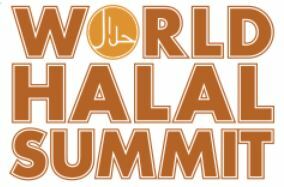 This Exhibition will take place at the Kuala Lumpur Convention Center (KLCC) and is part of the 2015 World Halal Summit (WHS). As depicted in the WHS Framework, aside from the MIHAS trade Show, WHS 2015 will further feature a total of eight conferences. MIHAS is an annual trade fair held every second quarter of the year in Kuala Lumpur, Malaysia. Organised under the auspices of the Malaysian government, MIHAS is hosted by the Ministry of International Trade and Industry (MITI) and is organised by the Malaysia External Trade Development Corporation (Matrade). Respected as a modern, peaceful and prosperous Islamic country especially among OIC member countries, Malaysia has the added advantage of championing the halal cause. Inaugurated in 2004 with the sole aim of facilitating the sourcing and selling of quality halal consumables, products and services globally, this annual trade fair is in effect the largest congregation of halal industry players. It embraces the halal concept in all its dimensions from pharmaceuticals and herbal products, cosmetics and health care to Islamic investment, banking and takaful (insurance). MIHAS attracts a following of loyal visitors and exhibitors. MIHAS 2013 saw the active participation of 463 exhibitors from 30 countries and attracted 18,223 quality visitors from 65 countries. Over 69% of these visitors are trade buyers and the who’s who in the food and beverage industry from the ASEAN countries.